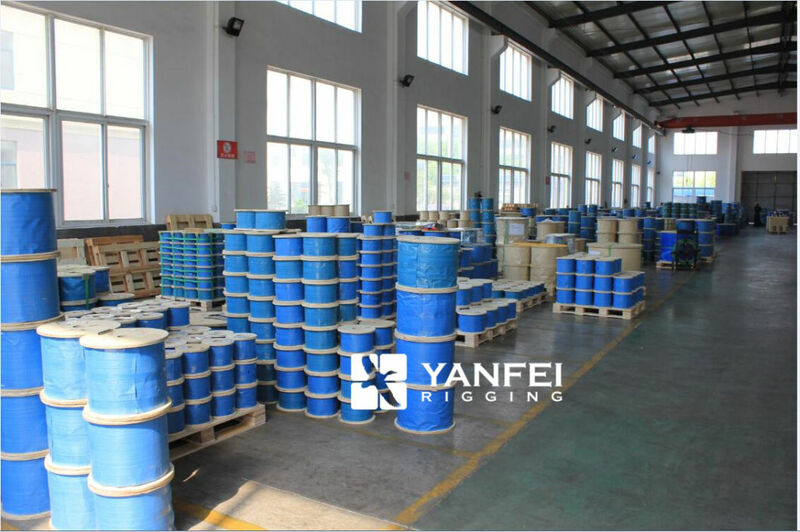 Packing: in wooden reels, plastic reel, soft coils, cartons, wooden case, blister, etc. Mill Test Certificate original from factory is available. Note: Before shipping, we can accept the test by third party, like BV, SGS, etc. to ensure products meet the clients' requirement. 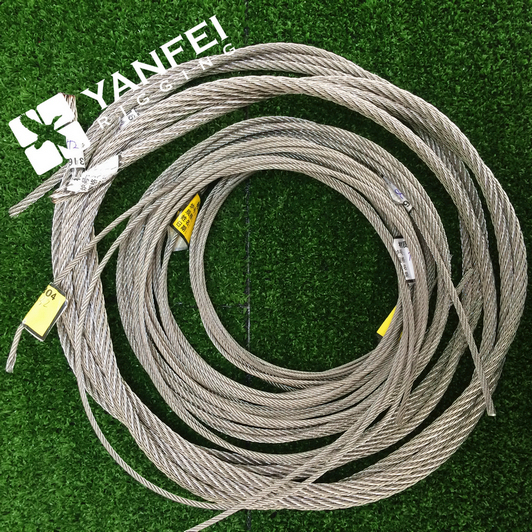 Qingdao Yanfei Rigging Co.,Ltd is located in Qingdao, China. For many years supplies a range of industrial products that covers lifting, lashing, slings, rigging, marine, mining, towing, transportation, construction, fishing and security applications...Â We provide not only high quality goods but also more additional benefits for our clients and partners. With advanced production equipment, superb manufacturing process, strict management and with good quality product. Under our business ideas "Quality first, Customer first", our goods are sold better and better. 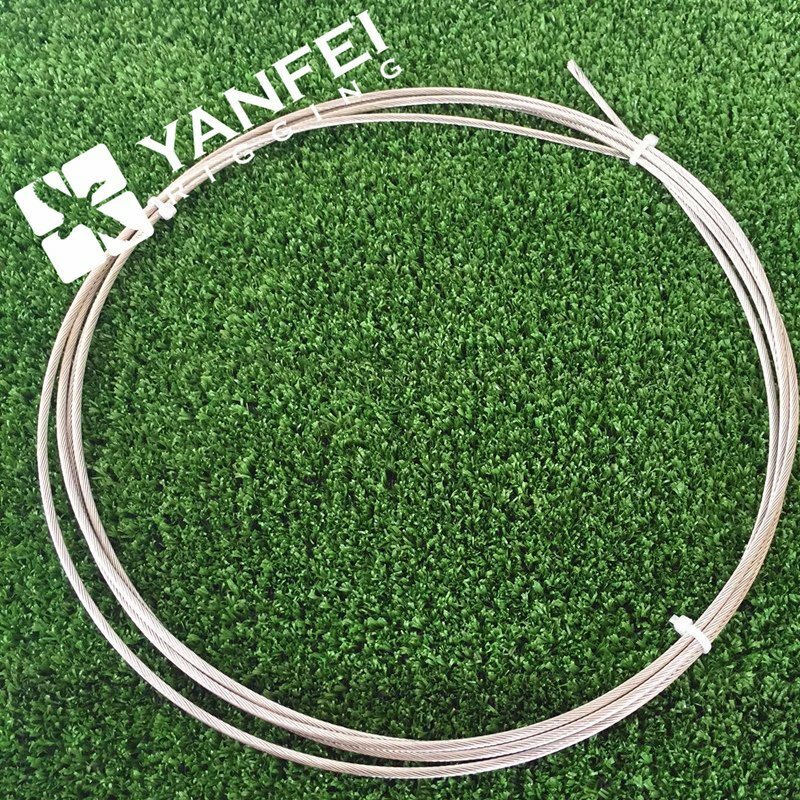 YANFEI will be your best business partner. SendÂ theÂ inquiryÂ withÂ detailÂ itemÂ descriptionÂ orÂ withÂ ITEMÂ number.Â TellÂ usÂ theÂ quantityÂ youÂ need,Â theÂ size of goods,Â andÂ theÂ packing.Â IfÂ thereÂ isÂ noÂ packingÂ demandÂ weÂ takeÂ itÂ asÂ seawayÂ packing.Â IfÂ possibleÂ pleaseÂ attachÂ oneÂ referenceÂ pictureÂ toÂ avoidÂ anyÂ misunderstandingÂ orÂ anyÂ linksÂ fromÂ ourÂ websiteÂ forÂ weÂ getÂ aÂ betterÂ understanding. CostÂ withÂ free ifÂ theÂ quantityÂ small,Â andÂ theÂ expressÂ chargeÂ accountÂ intoÂ buyer's. T/T, LC inÂ U.S.Â DollarsÂ orÂ EUR, for small orders, PayPal is ok.
CauseÂ allÂ ofÂ ourÂ productsÂ manufacturerÂ accordingÂ customersÂ order,Â usually withinÂ 35daysÂ afterÂ receiptÂ ofÂ yourÂ deposit. 5. HowÂ WillÂ MyÂ OrderÂ BeÂ Shipped? 6. HowÂ longÂ doesÂ itÂ takeÂ toÂ receiveÂ myÂ order? ToÂ WestÂ ofÂ AmericanÂ 20Â days.Â ToÂ AsiaÂ 7Â daysÂ orÂ more. DifferentÂ productsÂ withÂ differentÂ limited,Â pleaseÂ contactÂ usÂ toÂ confirm. 8. What's your quality guarantee? 9. What's benefit will you bring? YouÂ can get good reputation from your market andÂ obtain more orders. Lead-core rubber bearing is aimed for seismic isolation and anti-knock. It is widely used seismic isolation Bridge Bearing in the world. Seismic isolation technology is using damping and shock absorption devices to let bridge separate with seismic ground.It is comprised of laminated elastomeric rubber bearing pads, lead plug insertion and can with matched top bottom steel plates.It is produced under high temperature and pressure vulcanization process.J.S.Brown has many years experience in produce bridge Lead-Core Bearing,especially in high damping lead bridge bearings.